Established in 2002 with the purpose of providing their clients with the best landscape service, Beyond Landscaping pays strong attention to detail hence their slogan “Go Beyond”. We helped develop the first Beyond Landscaping website presence in 2010 and it continued to serve them well for many years. However, with the ever-evolving internet and the need for compatibility with various mobile devices available, we were tasked with creating a new website that would meet those needs. While we had plenty of content to work with on the original site, starting from scratch was the best approach to creating a new design. 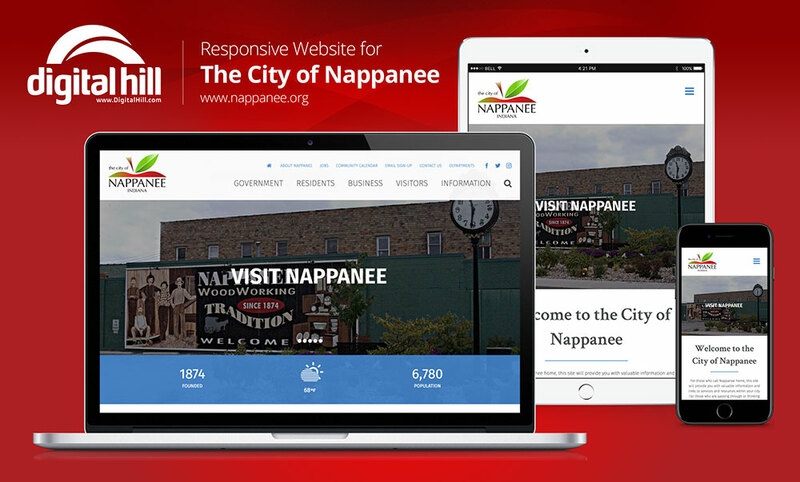 We optimized their navigation and looked to various website trends to provide a cutting-edge layout that is 100% mobile responsive for a more comprehensive, user-friendly experience. What would you like to see when you visit a landscaping service website? Why photos of course! Everyone appreciates looking at photos. 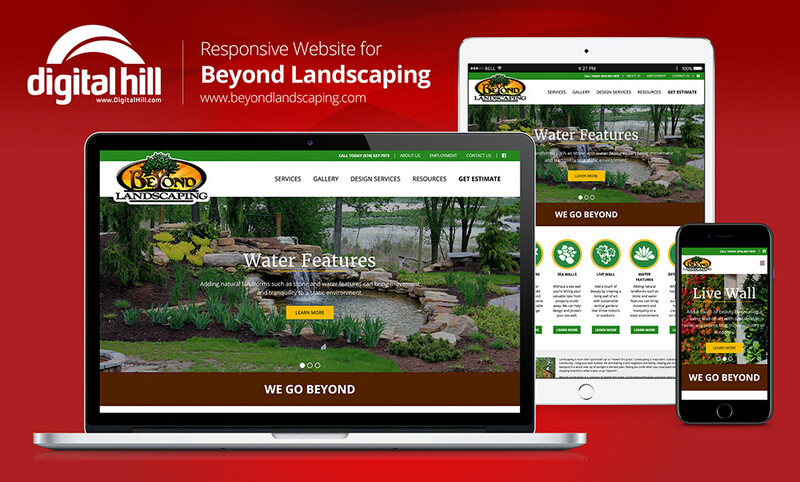 When you visit the Beyond Landscaping website, you will be able to browse through several galleries showcasing their incredible services and solutions. From landscape designs and installation to water features and lighting, the new beyondlandscaping.com website allows you to not only see projects they’ve completed, but also allow you to get ideas of what they can do for your home or business. To make updating their new website easier, we’ve incorporated an outstanding and easy-to-use content management system that allows them to add new pages, edit any existing content or create new galleries whenever they have the need. This new system also allowed them to create an employment application that prospective employees can fill out and submit online with a well organized “entries” area that allows them to review all form submissions in an easy-to-read manner. This WordPress website was made possible by Digital Hill and gives users incredible insight on the services and solutions that Beyond Landscaping offers. Serving Northern Indiana and business around the nation for years, Digital Hill provides web solutions that can help take a business to the next level. Interested in talking about your new website? Call us at 888-537-0703 or fill out our contact form here.